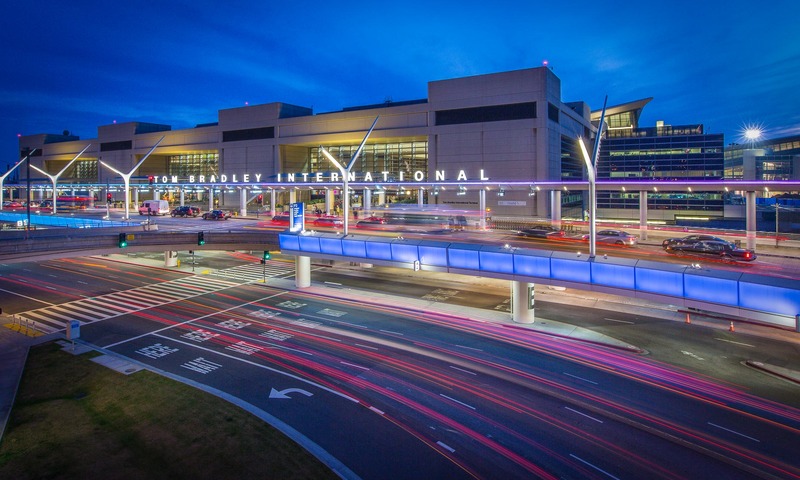 Tom Bradley International Terminal at Los Angeles International Airport, LAX, at dusk. Architecture. David Zaitz Photography.